There’s so much to get your head around when embarking on a property development, and so many decisions and choices to make. This is made even more complicated when there are restrictions in place because of the building’s status or the area it is in. If you live in a listed building, conservation area or other location with planning restrictions, you will be aware that you cannot make some of the changes that others can to their homes without permission beforehand. While this is to protect and enhance the area and preserve local heritage, it can be difficult for homeowners looking to upgrade existing windows and doors. However this doesn’t have to be the case. Here, we explain the kinds of restrictions you may experience and look at what to consider when replacing your windows and doors. Planning restrictions: What are conservations areas, listed buildings and Article 4 directions? A conservation area is an area “of special architectural or historic interest, the character or appearance of which it is desirable to preserve or enhance”. Many of our towns, villages and cities rely on historic windows for much of their architectural impact and character. Inappropriate, poor-quality replacement windows can easily erode traditional features on historic buildings. An Article 4 direction is made by the local planning authority. It restricts the scope of permitted development rights (alterations you are usually allowed to make without planning approval) either in relation to a particular area or site, or a particular type of development anywhere in the authority’s area. Where an Article 4 direction is in effect, a planning application may be required for development that would otherwise have been permitted development. Article 4 directions are used to control works that could threaten the character of an area of acknowledged importance, such as a conservation area. Listing is not a preservation order, preventing change. It does not freeze a building in time, it simply means that listed building consent must be applied for in order to make any changes to that building which might affect its special interest. The local authority uses listed building consent to make decisions that balance the site’s historic significance against other issues, such as its function, condition or viability. How do these affect the way you choose your windows and doors? In these areas replacement windows and doors will need planning permission, and this is quite rightly done to preserve architectural merit. The planning authority will be looking for any replacement to maintain the building’s character and match the local aesthetic, so in most cases where a replacement is needed, a like-for-like window or door would be required. As such, some planning authorities precluded the use of ‘modern materials’ or PVCu because the window designs are inappropriate in size, shape and design. However in more recent times, since window and door systems have developed and can perfectly mirror traditional aesthetics, but with a modern maintenance free material, the approach from many authorities has been to approve the use of systems will can replicate the original designs. For more information visit Historic England. To acknowledge the many benefits that alternative materials can have over timber, the planning guidelines agree that modern materials can be used provided the window of the same design and dimensions and the opening mechanisms match those of the original. Therefore, you can consider powder coated metals and PVCu when replacing your windows, as long as the design is carefully considered. Once you have found the right material of your windows, the style and colour are the next key decisions you’ll need to make. 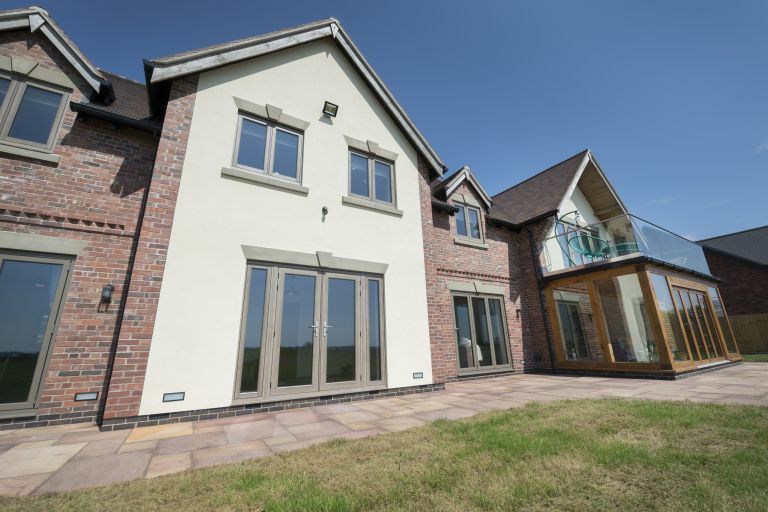 If you’re looking for an alternative to traditional timber windows and doors, you will be impressed by the range of colours and designs available to replicate 19th century timber designs, both inside and out. Residence Collection’s timber-alternative doors and windows are designed to be in keeping with conservation area guidelines. Residence 9 has been approved for use in a number of conservation areas, Article 4 sites and listed buildings. Available in a choice of handpicked heritage colours, you can personalise the frames to complement your interior décor by choosing a different colour for inside and out. For more information visit Residence Collection or search #residencecollection on Instagram for more window inspiration.